In past blogs, I’ve surfaced the problems Christ’s churches are facing in North America. We wanted you to get a feel for the problem. Now it’s time to move on and look at some solutions to our problems and how to re-envision our churches. We believe that we have a biblical solution to America’s dying churches, which surfaced as Gordon Penfold and I researched for our book – Re:Vision. The solution to the state of the church problem is a renewed vision for both church planting and church revitalization among our denominational and pastoral leadership. Again, the state of the church is symptomatic of a deeper problem–LEADERSHIP. We need leaders in general who can re-envision churches in particular. It’s imperative that we launch a nation-wide movement to develop pastors, not only as church planters, but as visionary church revitalizers. We believe that church planting is critical and certainly worth pursuing. (We hope this message is clear, for without church planting we wouldn’t be here today. If anything, we must “turn up the heat” on our church planting efforts in North America and abroad. However, along with this increased emphasis on church planting, we must also do better at training pastors as visionary leaders, not only chaplains, care takers, or scholars. We need pastoral leadership who can re-envision their churches. What we’ve discovered is that while some are wired to re-envision established churches others–perhaps the majority–aren’t wired to do so. (I say more about this in chapters 6 and 7 of our book.) Some simply don’t have the skills or divine wiring to re-envision churches. Consequently, they experience conflict, frustration, anguish, and eventually burnout (and in time dropout). Thus, the focus of the exploration in our book is on developing visionary leaders who’ll lead and re-envision our churches. We have noted an increased nation-wide interest on the part of denominations and judicatories in renewing established churches. When Gordon and I bring this topic up, these people are all ears. We have also been invited into a number of groups-especially denominations-to address this issue. We believe that this very well could be the prompting of the Holy Spirit. We hope God will use our research in some small way to turn our churches, if not our nation, around and see them get back on their spiritual feet. What we envision and are praying for is a nationwide movement prompted by the Holy Spirit. A movement where churches make u-turns and move in a new direction. A direction that honors and glorifies the Savior. When asked about my vision for church planting, my response often surprises people. I’m not interested in planting a church! I’m interested in planting church planting churches. It’s not enough that we plant a single church. It’s imperative that our goal be to plant a church that, in turn, plants many other churches. That’s a movement. Such movements are how cities can be won. For example, if I were to plant a church in Dallas, Texas, where I live, it would be to start church planting churches all over Dallas. If you were to ask for my vision for church re-envisioning, it would be much the same. Let’s begin to re-envision existing churches with the goal that each would in turn re-envision other churches, and on and on. 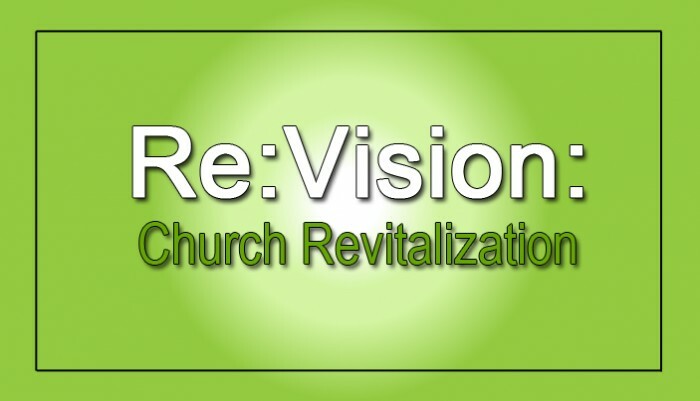 Combine envisioning (church planting) with an effort to re-envision church revitalization (church renewal) and watch a movement spring up that will powerfully impact our cities and suburbs for the Savior. And this must not be an either-or mentality, but a both-and mentality.